September 17th in Wordpress Plugins by Wordpress Jedi . Lazy Load for Videos: speeds up your website by replacing embedded YouTube and Vimeo videos with a clickable preview image to make your site more responsive. 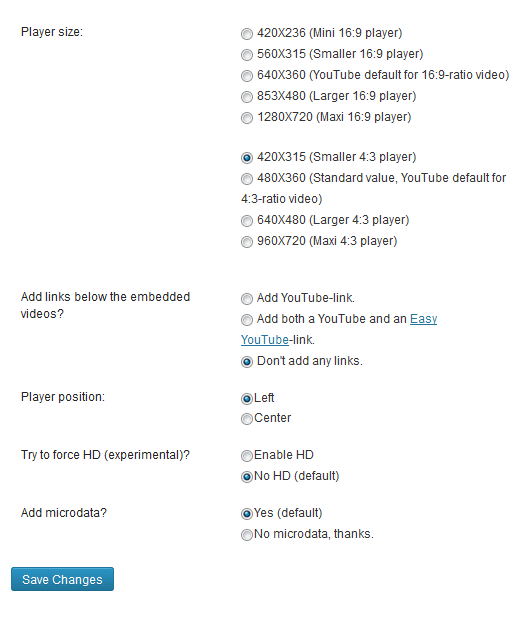 WP YouTube Lyte: allows you to lazy load your own videos. Just add “httpv” to your video links or a Lyte widget to your sidebar, and you are set. SlideDeck 2: a responsive content slider that lets you use images, YouTube, Flickr, and content from other sources. 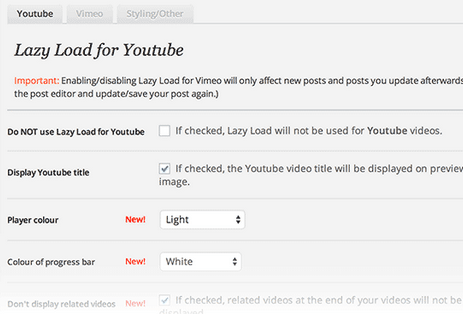 It offers lazy loading for video and image slides. There are many other things you should be doing to make your site faster. The above plugins can speed up your video-heavy site though.